Earlier today, Ubisoft announced that the original Rayman, the side-scrolling platformer that was initially released all the way back in 1995, will launch on iOS and Android tomorrow. Popular gaming character Rayman has already made its appearance in the mobile landscape a few years ago. The first mobile Rayman game was called Jungle Run and launched back in 2012, followed by Rayman: Fiesta Run a year later. This remake of the original Rayman game will be the third Rayman title that Ubisoft launches on mobile devices. At the moment, not much is known about how Ubisoft plans to take the side-screen platformer and port it to mobile devices. Fiesta Run and Jungle Run are both endless runners, a game type that's well adapted for mobile controls, but the original Rayman was a side-scrolling platformer. A proper remake, which would maintain the playing style of the original game, would require into gamepad-like touch controls. However, given the complexity of Rayman's correct movements, the virtual D-Pad approach could translate in major headaches if not perfectly implemented. For this reason, we shouldn't exclude the chance that Ubisoft has transformed the original game in an endless runner, in line with the previous two mobile titles. 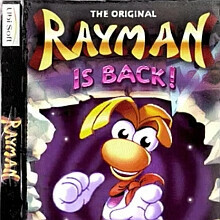 The original Rayman, launched in 1995 on the Atari Jaguar and the original Sony Playstation, is a gold standard for platformer games. For the mobile port, we certainly expect to Ubisoft to launch the game with remade (higher-res) graphics. So just going to act like us windows 10 mobile people don't exist?!! Well were aren't dead still alive and eating brains give us this app. We have money and would even pay for apps at a higher price. Think if youtube ports youtube red as a service they get tons of money because its the only real youtube. Money talks so bring this app now. Too much work for the seven devices out there. We my droid/apple friend my fellows Windows 10 mobile are live and well. Don't you want a 3 big players come on you know you want that. I want that. But right now, you guys don't exist. This game will come to Windows 10 store eventually! GTA Liberty City, New Final Fantasy and Alto's Adventure is coming soon too. Windows Store is a great place for Paid Games but not for Free To Play with IAPs. As a dev my self, I would rather skip Android for paid titles, but release them on iOS and Windows! But, I don't code games! Lol! And BTW, Windows Phone has ~70 million active users! And If the game releases as Universal Windows Store app, it can target 200 million users! Brilliant, buy a platform that the game don't exist and whine about it. I thought everyone know we buy the respective Xbox/PlayStation/Nintendo console to get the game that we want to play. All this whining just make the platform looks even more pathetic. So you expected the app situation to change over night because you bought a windows phone? That's funny. It will take years and a concerted effort from more than Microsoft to bring the marketshare for windows mobile devices anywhere near Android and iOS, Until that happens nothing will change for you, get used to it. According to that Twitter source that was posted, it's only available for iOS....at least for now. I want to play VectorMan on mobile. "Woo Yah Give me more!"